only add privacy and beauty to your property but can help cut down on noise and save on energy costs. Below is an article by Jim Simpson from the US Department of Agriculture that helps define windbreaks. Did you know that a few well-placed shade trees can cut air-conditioning bills by up to 30% in summer here in Virginia? Or that evergreens can save up to 10% of your winter heating bill just by blocking the Virginia winter wind? These centuries-old tricks haven't been used much in recent years -- but as fuel gets more expensive, planting trees is an easy and pleasant way to save money. Bonus: Large trees also can increase the value of your home by as much as 5%. Trees must be selected and positioned properly. A poorly placed tree actually can increase your energy bills and damage your home. Evergreen trees generally are more effective windbreaks than solid walls of similar size. The trees' irregular shapes and textures prevent the wind from flowing over them. Plant trees to block the prevailing winds, usually from the north or northwest. If you're not certain which way the wind blows, monitor the wind for one winter before planting. Select types of evergreens that will grow at least as high as your home and have limbs that start low to the ground. Best: Fir, spruce, pine, hemlock, cedar. A row of three to five evergreens positioned perpendicular to the wind should provide an effective windbreak. More might be needed for larger homes. Don't block the winter sun. 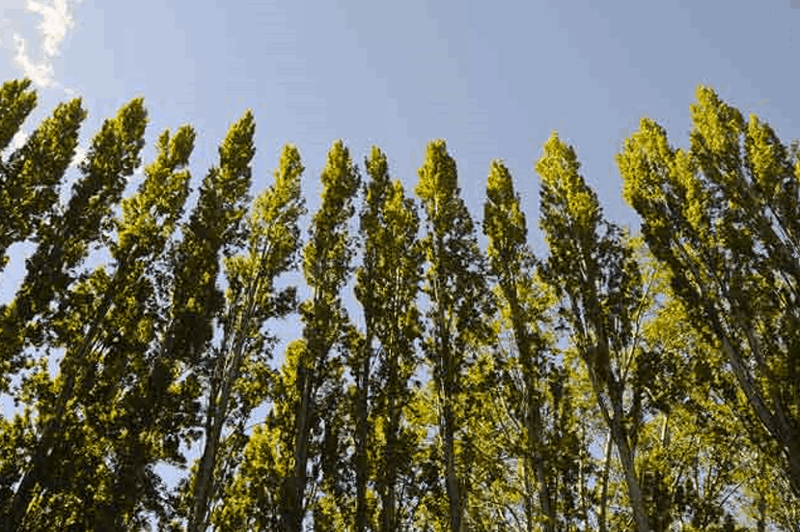 If the prevailing winds are from the east, west or south, plant at a distance of at least one or two times the height of the mature tree away from your home, assuming your yard size permits. That allows the low winter sun to warm your house while still acting as a windbreak. If you plant closer, you risk increasing your heating bill by blocking the winter sun. On the north side of the home, plant at least 15 feet from the structure.